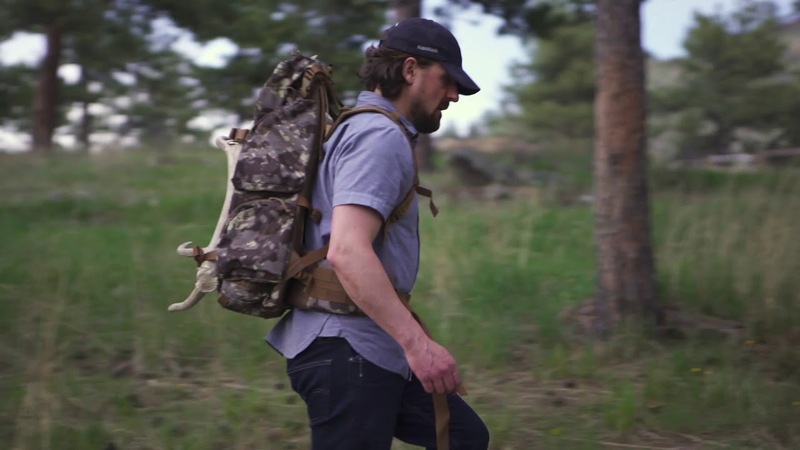 Elevate Your Load: We wanted to elevate our meat hauling packs to the next level. The DST Deadfall pack is the culmination of serious product design, field research and good old fashion gear abuse. We wanted a sturdy pack that could haul out a serious load yet compressible enough for those minimal load days spent hiking ridge lines and exploring new territory. We took great care in designing the wings to accommodate your optics, scopes etc and that the front load flaps were versatile enough to securely hold awkwardly shaped items, while still being streamlined. Incorporating our tried and true dual aluminum stay frame and adjustable torso suspension, you are sure to get the perfect fit - no matter the load.